Brandon Schneider joins the Training Advisory Board as an IAPP Fellow in Information Privacy (FIP) and as a seasoned privacy lawyer. For over twelve years, he has served as a privacy lead/subject matter expert for a well-rounded variety of federal government institutions, from Department of Defense Biometrics to U.S. Department of Agriculture (USDA). Brandon has also served five years with the USDA as the NRCS (agency) senior privacy officer/privacy lawyer. In that role, he reported to the agency CIO, for a USDA agency of 14,000 individuals across the nation. More recently, Brandon was tapped to become a federal government privacy expert with the National Institute of Standards and Technology (NIST). He is working with IT security-privacy thought leaders to create greater privacy process efficiencies and to ensure that federal regulations keep pace with fast-paced technology. At NIST, Brandon developed an internal procedure (modeled after IT security and operations) which assesses privacy risk through the Risk Management Framework (RMF) - including an annual re-certification process. Brandon has been challenged to champion privacy on the forefront of technology. Brandon continues to hone his skills as a privacy lawyer and in privacy education. 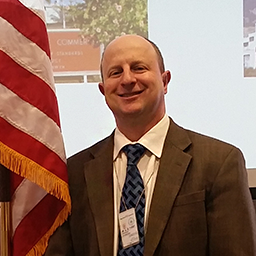 Last year, Brandon led a privacy presentation at NIST's IT Security Day. He also led an IAPP Summit round table discussion on NIST published privacy control implementation. Brandon enjoys working at the intersection of IT security/privacy and contract law, such as information sharing agreements, rules of engagement for vulnerability scanning, and non-disclosure agreements. He understands the multiple dynamics of a maturing federal government privacy program. A program should be sustainable, self-improving via metrics, tackling cutting edge technologies, and gradually more automated. The leader should advocate a deepened privacy culture (via awareness and training, etc.). Brandon values the opportunity to share institutional knowledge with fellow Training Advisory Board members. He is dedicated to elevating the privacy profession, and he is honored to serve in this IAPP board advisory capacity.